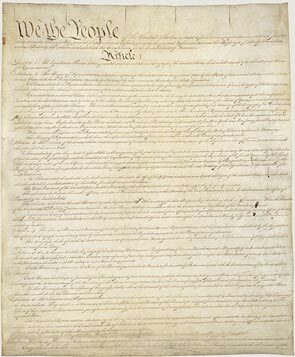 “Constitution 101: The Meaning and History of the Constitution” is a 10-week online course presented by Hillsdale College. Featuring an expanded format from the “Introduction to the Constitution” lecture series with Hillsdale College President Dr. Larry Arnn, Constitution 101 follows closely the one-semester course required of all Hillsdale College undergraduate students. Lectures and other study materials will be released by noon each Monday according to the schedule below. Once released, they are available to view at your convenience. Each lecture is approximately 40 minutes in length.